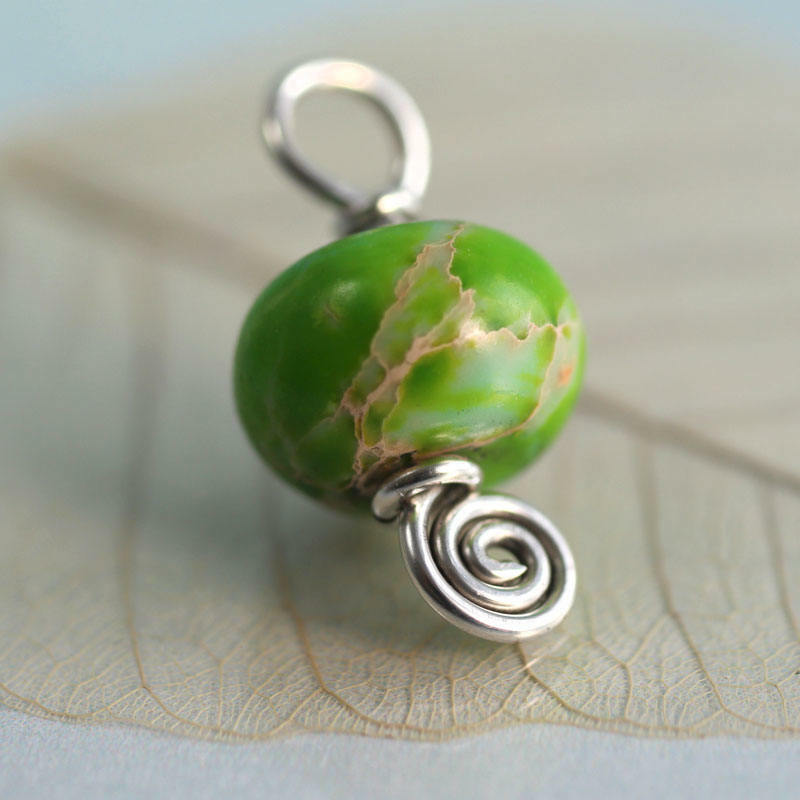 Beautiful green sea sediment jasper shaped as a smooth rondelle, wire wrapped in thick silver wire with a cute little spiral detail at the bottom. 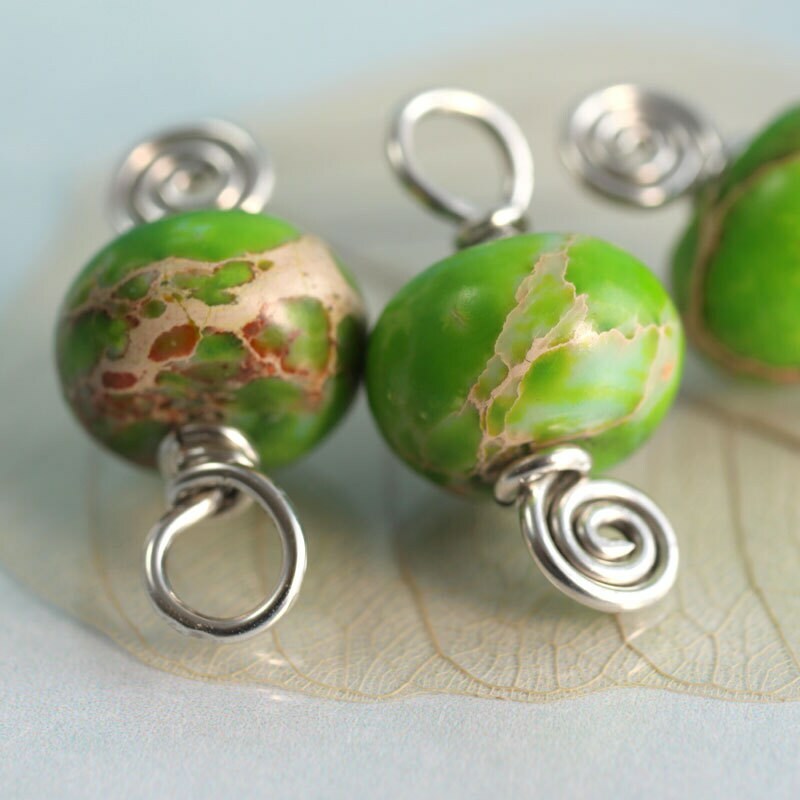 Jasper comes in so many gorgeous colours and these beads remind me of lichen and sea grass. 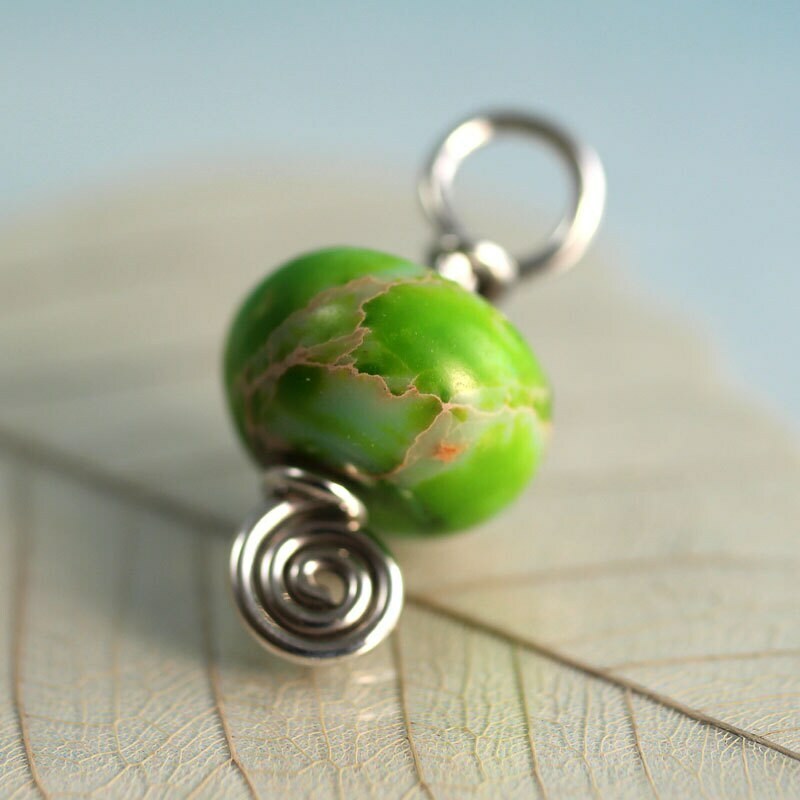 Their colours go from jade, intense green, terracotta and sand. 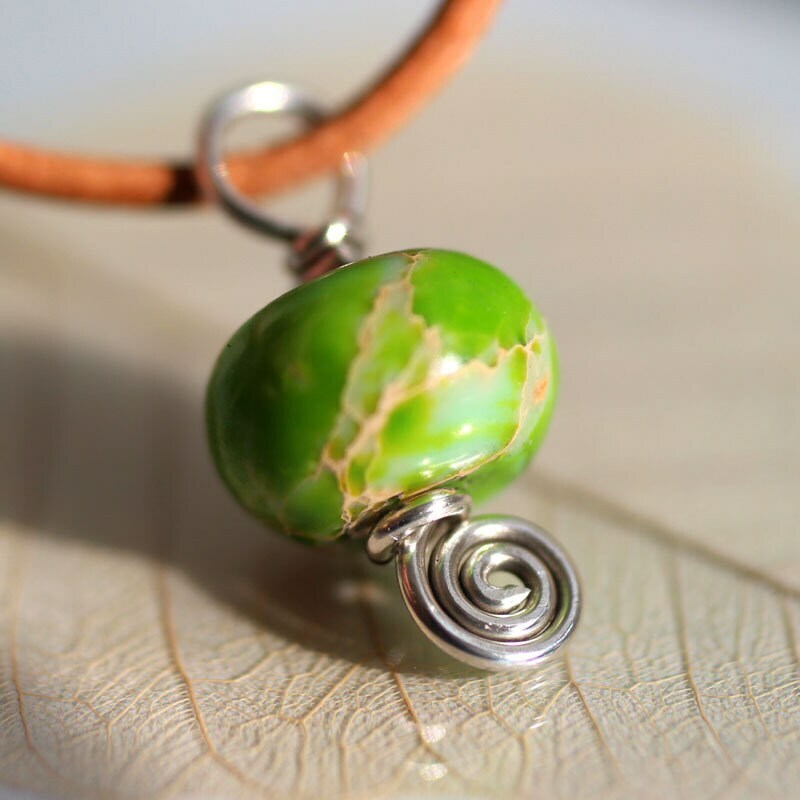 Sea Sediment Jasper is a gemstone of stability. 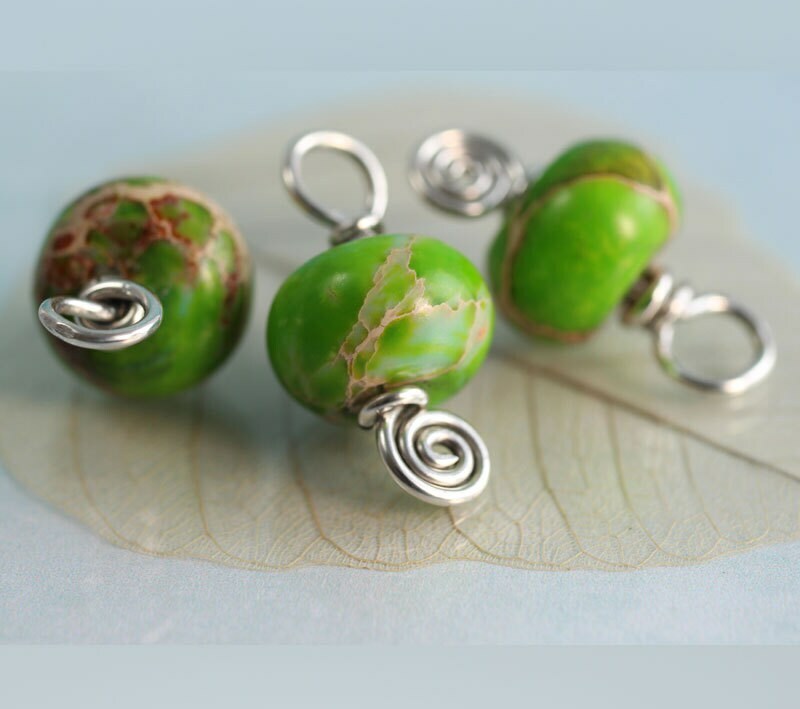 It is said to be a powerful protection against things that are not good for you and it eases emotional stresses, making it a wonderful gemstone to wear. 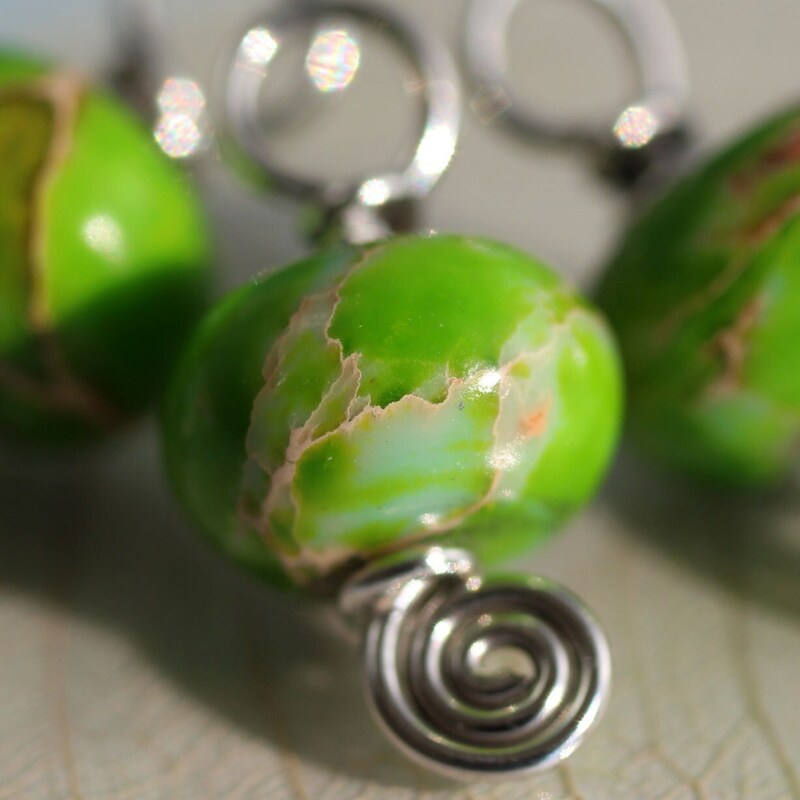 The blue & green varieties of Sea Sediment Jasper are wonderful stones for helping one find inner peace, clarity, love and compassion. 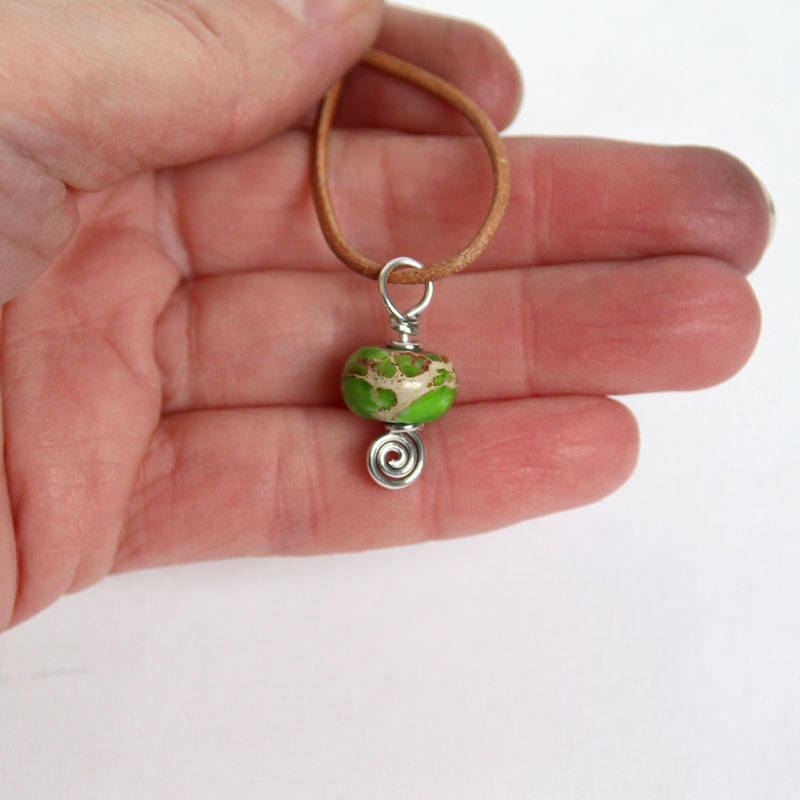 The charm has a 5 mm large closed hoop for attaching to your favourite bracelet or necklace to use as a tiny pendant. As you can see from the photos these beads vary quite a lot being a natural gemstone, but I will do my best to pick you out a beautiful specimen.